How are Sudoku puzzles similar to Alphadoku puzzles? 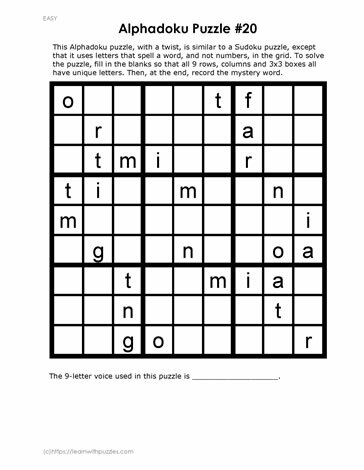 These puzzles are similar in that they use the same 9 by 9 grid and require logical reasoning in order to solve the brain teaser. How are Sudoku puzzles different from Alphadoku puzzles? These puzzles are different in that Sudoku puzzles use the digits 1 to 9 while the Alphadoku puzzles use letters from A Unique nine letter word.